When she joined Gift CPAs in 2015, Sydney brought with her the experience of working for a small business. This perspective gives her an insight into some of the challenges small businesses face each day. 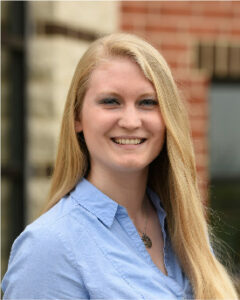 As a bookkeeper, Sydney prepares financial statements and provides clients with the information they need. Sydney is a fast learner who is interested in learning new things. Each day, she makes a to-do list and competes against herself to accomplish it all by the end of the day. Sydney enjoys staying active, playing with her dogs, and binge-watching television shows.